Rogers City's Taylor Fleming put up 24 points against Whittemore-Prescott. Rogers City, Mich. — The Rogers City Hurons hosted the Whittemore-Prescott Cardinals for a varsity double-header. 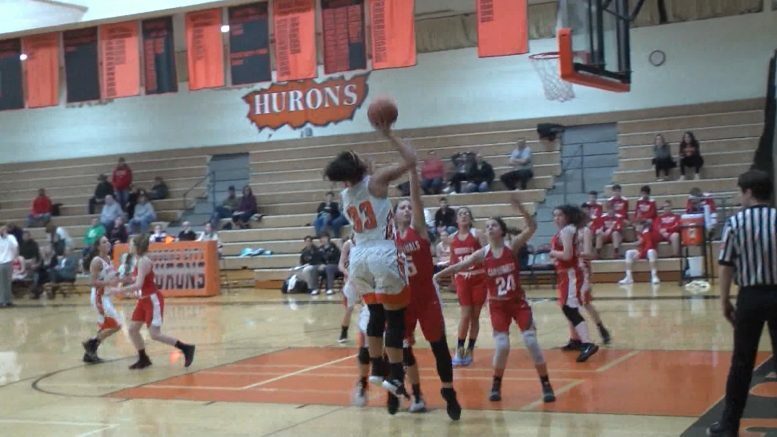 The Huron girls hoping to get revenge after losing to the Cardinals in overtime during their first meeting. Rogers City’s Taylor Fleming posted 24 points in the Hurons 49-30 win over the Cardinals. The Rogers City boys took control early winning 53-26.